There is an element of the Magic Kingdom that can fall into multiple clichés. Such as, “The more things change, the more things stay the same,” and, “Things come and things go.” In this case those ‘things’ both reference a great parade that has come and gone only to return again and returns repeatedly with fresh floats and looks. However, at its core, it is still the Main Street Electrical Parade. 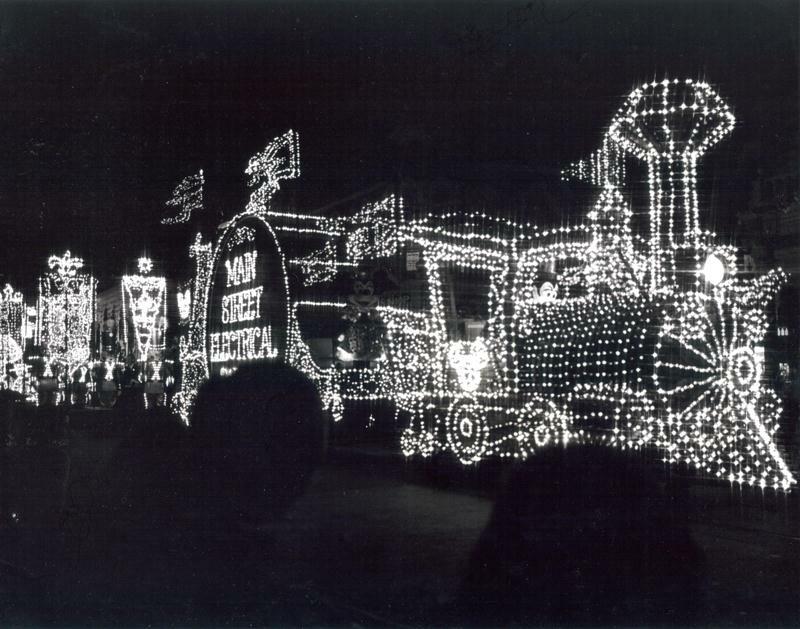 The photograph below could have been taken yesterday, but it was, in fact, a part of the announcement that the Main Street Electrical Parade would be returning to Walt Disney World in November of 1977, just in time for Thanksgiving. RETURN ENGAGEMENT FOR THANKSGIVING -- Walt Disney World will celebrate the Thanksgiving holidays with the return of the popular Main Street Electrical Parade, Fantasy in the Sky Fireworks and extended operating hours. The Main Street Electrical Parade will take place at 7 p.m. November 24 and 27, and at 7 p.m. and 11 p.m. November 25 and 26. Fireworks will be presented at 10 p.m. November 25 and 26. Magic Kingdom operating hours will be 9 a.m. to 8 p.m. November 24 and 27, 9 a.m. to midnight November 25-26.